Six Degrees of Separation – from The Luminaries to Tony Hogan. In 1929, Hungarian writer Frigyes Karinthy wrote a short story called Chains in which he coined the phrase six degrees of separation. Of course the 1993 film, Six Degrees of Separation, starring the incomparable Stockard Channing, cemented the phrase (and concept) into everyday parlance. Based on the concept of six degrees of separation, Emma Chapman and Annabel Smith created a neat meme, where bloggers share links between books, in six moves. 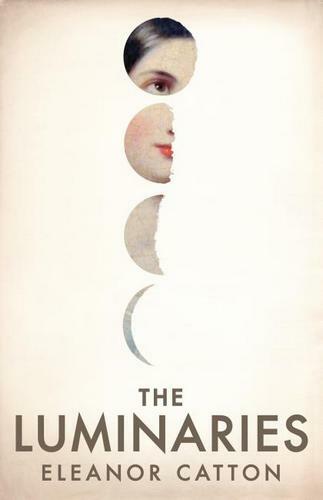 This month, the chain begins with The Luminaries by Eleanor Catton. I haven’t read it and my reason is pathetic – it’s just such a big book and I’ve done a few big books of late. That said, it is on my reading list (propping up the chunky end along with Harry Quebert). But the beauty of this meme is that having read the book is not a prerequisite. The Luminaries is set in New Zealand, so my first link is to The Forrests, a book by New Zealand author Emily Perkins. The Forrests is an exquisite story, unique in a way that is difficult to describe. I picked it up on the strength of author Charlotte Wood’s recommendation. At the time, she was raving about The Forrests on Twitter and given that I love Charlotte’s writing so much, I figured Perkins would be a good bet. She was. So Charlotte is the basis of my next link and it’s to her wonderful memoir-meets-recipe-book, Love & Hunger. It has all the warmth, humour and beautiful observations that make Charlotte’s writing so appealing. 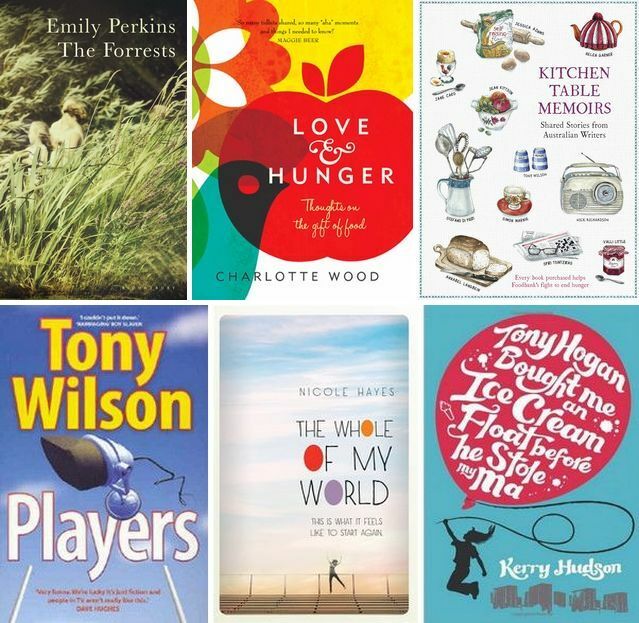 Another book centered around food and eating is Kitchen Table Memoirs – Shared Stories from Australian Writers. I have dipped in and out of this collection but each story plays to the wonderful fact that the kitchen table is so often the ‘business centre’ of a home. We bought a new kitchen table a few years ago and choosing the right table was a big decision, simply because so much ‘happens’ at the table (no, I don’t over-think things…). Author Tony Wilson contributed to Kitchen Table Memoirs, his story an hilarious retelling of a childhood trampolining accident. Tony can pretty much make anything seem funny but those that have read lots of his work know that his true passion is football – which takes me to his 2005 novel, Players. Players is a parody of Australian football variety show personalities. I love footy but geez I hate The Footy Show. Still on the topic of football, my next selection is YA novel, The Whole of My World, by Nicole Hayes. It’s a coming-of-age story with a football theme and Shelley, the girl at the centre of the story, faces a couple of challenging situations that force her to do a lot of growing up. Janey, the girl at the centre of Kerry Hudson’s Tony Hogan Bought Me an Ice-cream Float Before He Stole My Ma, is also a young girl living in an adult world and is the final link in my chain. From New Zealand’s goldfields in the nineteenth century to kitchen tables and badly behaved footballers to Scottish council estates – all in six moves. No reason to be embarrassed! The beauty of this meme is that we all get to show off all sorts of links. The kitchen table really is the heart of the home, isn’t it? I like the sound of those foodie books but I loathe football so I’ll be avoiding those like the plague! Thanks again for playing Kate. I’m completely with you on The Luminaries. I went so far as to get it at the library and then moved it from room to room in the house. I may have gone so far as to read the first page but could not do it. It’s now one of those books I think I’m “supposed” to read and love and, like the perverse child I am, I’m going to refuse to do so. So, you read it and tell me about it.